Curley M. Dossman, Jr. – 100 Black Men of America, Inc.
Curley M. Dossman Jr. is president of the Georgia-Pacific Foundation and vice president of Community Affairs at Georgia-Pacific. He oversees all the company’s community-based programs nationwide and the foundation’s philanthropic giving. In his dual roles, he works closely with Chief Executive Officer Christian Fischer, other company executives, and civic leaders in Atlanta and across the country. Curley is a native of Louisiana, who attended Morehouse College in Atlanta, where he received a BA degree in 1973. While attending Morehouse, he was a member of Phi Beta Kappa, received the Robert Brisbane Outstanding Award for Students of Political Science, served as President of the Morehouse Student Government Association and was a member of the College Board of Trustees. After graduating from Morehouse, he attended Washington University School of Law and earned the JD degree in 1976. While there, he served as President of the Association of Black Students. 1994 – Joined Georgia-Pacific as Senior Director, Community Programs Department. 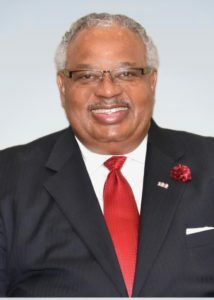 Currently as President of the Georgia-Pacific Foundation and Vice President of Community Affairs, he is responsible for Community Relations Program development for headquarters and local plant communities nationwide and administration of the Georgia-Pacific Foundation and Community Affairs Department. Curley works closely with the Chief Executive Officer, company executives, and key Atlanta leadership regarding programs and initiatives important to Georgia-Pacific. 1984 – Joined AT&T as the Regional Attorney for the Southern Region (National Government Relations Division) for nine Southeastern States. In 1989 he received the AT&T External Affairs Pacesetter Award for Excellence in Performance and was selected to be a participant in AT&T’s Advanced Management Program in recognition of his performance as a high-potential employee. In 1990 he assumed the position of State Vice-President for Georgia and was responsible for covering local, state, and federal issues. 1979 – Joined the staff of U.S. Senator Russell Long, first serving as the Senator’s State Liaison with all federal agencies. Subsequently, he served as Senator Long’s Legislative Assistant on the Washington staff. Curley’s wife Jennifer is an Honors Graduate of Spelman College. They have a son, Jonathan, who is also a graduate of Morehouse College.